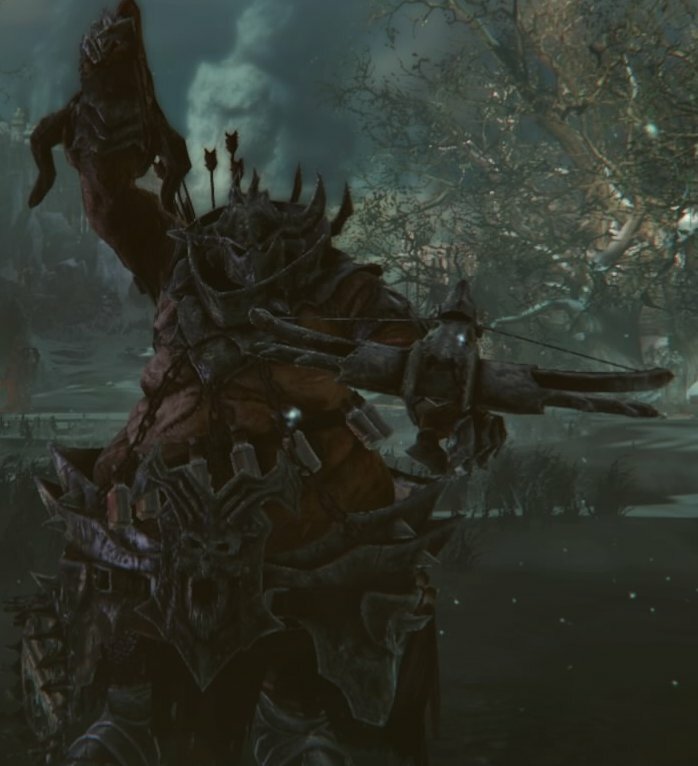 Rhogar Beastmaster is an Enemy in Lords of the Fallen. Enemies are hostile creatures and humans that Harkyn encounters throughout the game. They have different resistances and drops, sometimes leaving behind powerful Weapons. Rhogar Beastmasters are Rhogar that work with ferocious beasts and demons on the battlefield. Typically Dimensional Beasts, Deceptors, and Rhogar Hounds fight alongside them in battle. General - Getting up close and personally with this enemy is generally the best idea, as they have an advantage with ranged combat due to the enemies that surround them and the variance in their ranged attacks. When fighting them it's recommended to use strong attacks instead of backstabs since their width allows them to keep the player from landing a backstab. Casters - It is recommended to use something like Rage or an enemy effecting spell when fighting Beastmasters as doing the most damage to them is up-close is the best method for killing them.